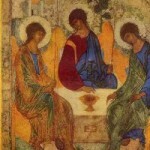 A Myrrh-streamer and a Wonderworker, but also a great theologian and writer. Saint Nektarios, the boast of the Orthodox faithful of our age, was honoured by God in the most telling of manners; his holy relics stream myrrh and he miraculously heals many suffering from illness. 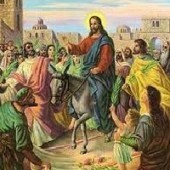 He is, then, both a Myrrh-streamer and a Wonderworker. Greece in particular is full of churches dedicated to his memory, of his icons, which hang in almost every church and in the homes of devout Orthodox Christians, of books recounting his life and works, of editions of his own writings which are continually reprinted, and above all, of countless narrations of his innumerable miracles. His fame and veneration have already taken on a pan-Orthodox character with the many faithful from countries other than Greek seeking his aid and protection. In addition, the Holy Trinity Monastery in Aegina has become a site of pan-Orthodox pilgrimage having been established by the Saint himself, having been sanctified both through the work of his hands and, indeed, by his very presence, for he passed the final years of his life there in humility and ascetical struggle. Recently, next to the monastery’s humble cells, built not only under Saint Nektarios’ supervision, but through the labour of his own hands, a great and beautiful church was erected in his memory that God’s name might be magnified through the honour bestowed on his Saint: “God is wonderful in his saints!” At the same time, all this serves as a proclamation that, even in our difficult times, God honours and glorifies the humble, the persecuted, and the despised, rather than the proud and the powerful who, through their worldly, arrogant and malicious conduct, cause God’s name to be blasphemed, his holy Church to be attacked and many Christians to be scandalized. God, the only just judge exalted the humble and obedient Metropolitan of Pentapolis, exiled from Alexandria and despised, above those who had judged him, raising him to the place of eternal joy, where his memory will be eternal. According to God’s plan and in his providence, persecutions and sorrows are beneficial to those individuals who accept such divine lessons without complaint. Simultaneously, however, by means of such circumstances, the all-wise God is also provides for other of the Church’s needs – needs often indiscernible to the clouded minds of men. The presence of the exiled Metropolitan of Pentapolis’ in Greece was certainly something greatly needed. First, through a plethora of illumined writings, Saint Nektarios presented the Orthodox tradition, projecting the theology of the Holy Fathers and the Ecumenical Councils against the rationalistic academic theology brought to Greece through foreign textbooks. Second, as principal of the Rizareio Ecclesiastical School for fourteen years (1894-1908) he laid the foundation for sound theological education, the fruit of which can still be seen today. Finally, his establishing the Monastery of the Holy Trinity in Aegina, to whose stillness and isolation the Saint retired after his resignation as principal of the Rizareio School, was an important, God-inspired action which served to promote and encourage Orthodox monasticism which, from the time of the Baron of Othonos, had been unjustly persecuted and slandered. The letters of Saint Nektarios. Within the context of his other writings, the Saint’s epistles occupy a special place: in this regard this new Father of the Church takes after the Holy Fathers of antiquity. He did not write theological works alone but also letters of varied content, letters of living, personal content, by means of which we might trace the path of his holy life, witnessing first-hand the various troubles he encountered, the bitter disappointments he tasted, but also the joy he experienced when he saw the work he had undertaken for the salvation of souls beat fruit. These also record his aims and hopes for the future. Most of these letters have already been published in large part thanks to the ever-memorable Metropolitan of Paramythia, who has also made significant contribution to the more general presentation of his character and works. Beyond the letters he has published in his lengthy biography of the Saint, His Eminence also published a volume containing 136 of the Saint’s letters written to the nuns of the Holy Trinity Monastery in Aegina between 1904 and 1908. During this period he was still the principal of the Rizareio School and was therefore obliged to direct the nuns (all of whom were new to the monastic life) by means of letters. This is the most significant – both in terms of length and content – section of the Saint’s correspondence. From out of this body of 130 catechetical letters, Fr Theokletos Dionysiates selected thrity-five, publishing them together with some interesting introductory comments. Also, an Athonite monastic brotherhood, the Danielites, who have in their possession letters between Saint Nektarios and the brotherhood’s founder, Elder Daniel of Katounakia, published this correspondence along with an extended introduction which I myself have penned. Several individual letters have also been published by other students of his life and work. With the blessing of the former Metropolitan of Aegina, Hierotheos, as well as the current Metropolitan, Ephraim, and under the supervision of an editorial committee (of which I am a member, specifically charged with the duty of overseeing the publication of the letters), however, the entire body of Saint Nektarios letters will be published by the Monastery of the Holy Trinity in a forthcoming volume of the Saint’s Collected Works. From an academic/research perspective, the two academic conferences in Aegina have already paved the way for the publication of the Collected Works. A brief presentation of his letters’ contents. In what follows we will undertake a chronological survey of the letters authored by the Saint, pausing to make a few references to their contents which depict, albeit faintly, the wealth of the Saint’s virtues. An adequate presentation of these virtues would require much time and space, since this humble, poor, and ascetical Saint was in this lone sense covetous; he coveted virtue and holiness. This treasure which he amassed, then, which finds particular expression within his letters, will be presented here only superficially. Chronologically, we might divide the Saint’s letters into three periods; first, those written prior to his becoming principal of the Rizareio Ecclesiastical School, that is to say prior to 1894; second, those written during his fourteen years as principal at the Rizareio School, from 1894-1908; and third, those written during the final twelve years of his life when he lived at the Monastery of the Holy Trinity in Aegina (1908-1920). A) Letters dating prior to his assuming the position of principal at the Rizareio School. The meek and forbearing hierarch, “deaf and dumb”, accepted this unexpected development without complaint, not exploiting the protests of the faithful in an attempt to challenge this decision, but rather bearing this cross of sorrow and injustice with patience and resignation. In accordance with the Patriarchate’s command, then, he left Egypt, homeless and left hanging in mid-air ecclesiastically, to search for some position in Athens. There he did not attempt to find for himself some enviable ecclesiastical position: though a Metropolitan, he applied to become a simple ierokyrakas in an attempt to secure his daily bread. Concerning ecclesiastical offices the Saint would later write succinctly to the Monk Ioasaf that, “…offices do not raise on high the one who possesses them. Virtue alone has the power to lift a man up and betroths one to prefect glory.” He then sealed these words with his own example. Much the same can be said for that which he writes to Elder Daniel of Katounakia concerning sorrows and their pedagogical importance. The unresentful Nektarios did not even cease from communication with his persecutor, Patriarch Sophronios, sending him the books which he published. Five of the Saint’s letters to the Patriarch have dating between August 1893 and April 1894, opening this period of his life to us. 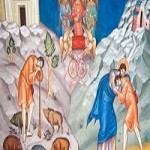 In the first of these, he asks the Patriarch to be accepting of his good disposition, and to forgive him his many sins, and whatever in particular he did to embitter him, while at the same he extends his forgiveness to those who had embittered him. “Since it is required that we first forgive the sins of others, I have already forgiven all, and pray for those who sinned against me.” In the third letter, dated 11 November 1893, he asks the Patriarch if he might be allowed if he might permit him, “an extended stay in the Patriarchal See near the library, or at the Patriarchate, or even at Saint George’s” since his work as a preacher in Fthiotida left him no time to for study and writing. Though he received no response to this request, in March of 1894 he sent a letter to the Patriarch, greeting him on account of his Name’s day. In this same letter he also informed the Patriarch of the happy news concerning his appointment as principal of the Rizareio School, asking him to pray for the school’s success and that he might be able to fulfill his new, lofty duties. It would seem that Patriarch Sophronios responded warmly to this letter since Saint Nektarios sent another, ever warmer letter back to the Patriarch in April of 1894. During this same period the Saint also wrote a series of letters to Elder Daniel of Katounakia, the founder of the Danielite brotherhood. These four letters, along with sections of a fifth which has been lost, reveal something of the period between 1903 and 1908. The first of these letters is of particular value since in it Saint Nektarios consoles the Elder, writing concerning the pedagogical and spiritual value of sorrows. We ourselves had the greet blessing of overseeing the Danielite brotherhood’s efforts to publish this correspondence between Saint Nektarios and Elder Daniel, and to survey its contests in our introduction to the subsequent edition. 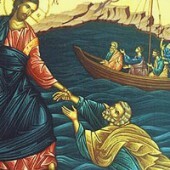 In addition, there exist a series of letters which the Saint wrote to Elder Pachomios of Chios. 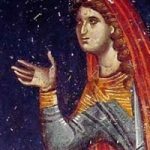 Pachomios, a hesychast who initially took up the monastic life in the New Monastery of Chios but later withdrew to a hesychasterion on Mount Provateio near the monastery, established a coenobitic women’s monastery in Frankovouni which lived in desert-like austerity. It is to Elder Pachomios that the Saint owed his own initiation into the monastic life, and he refers to him frequently in his letters to the nuns at Holy Trinity Monastery in Ageina. Also worthy of mention is Saint Nektarios’ letter to Metropolitan Spyridon of Kephalonia, in which he argues strongly that the risen Lord appeared first to the Most-Holy Theotokos, and not to Mary Magdalene who, he also notes, ought not to be numbered among the sinful women. C) Epistles dating to the period of his retirement to Holy Trinity Monastery (1908-1912). We have relatively few epistles dating this final twelve-year period of the Saint’s life, for, having withdrawn to the desert – as it was at that time – of Aegina, he primarily occupied himself with the building of the monastery and the spiritual direction of the sisters. Most of the letters dating to this period are addressed to his disciple and spiritual son, Constantinos Sakopoulos, who had proved himself a faithful aid, serving the Saint during his time as principal of the Rizareio School. Before retiring to the monastery, the Saint wondered how he would manage to put “Costas” up without turning a blind eye to the monastic canons. In the end, however, Costas did not accompany the Saint to Aegina, remaining instead in Athens ever serving the Saint and the monastery. The ten letters between them which have been preserved are connected either with matters involving necessities, or to the publication and distribution of his books. Two letters have also been preserved which are addressed to Heiromonk Sophronios Kehagiolou, the well-known elder of the Monastery of the Honourable Forerunner in Skopelos where the Saint himself had initially wanted to take up the monastic life after his retirement from the Rizareio School. Elder Sophronios, by descent a Thracian from Raidesto, located near Sylivria, the place of the Saint’s birth, even took part in the vigils at Prophet Elisha’s Church for a period of time. These letters are dated July 1912 and July 1916 respectively. 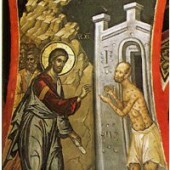 In the first, he invites Elder Sophronios to visit his monastery, and in the second he informs the Elder that he has fallen ill and that he will have to postpone his planned visit. It is not possible for us to present here the vast field of virtues, the holy avarice of this meek, innocent, humble and discerning Saint, this saint of our century, nor all the creases and folds of his holy life as these appear in his letters. If we are found worthy by God, through the prayers of the holy hierarch, we will complete the collection and publication of his Collected Works and we will thus be able dedicate more time to the analysis and appraisal of this lover of virtue and holiness. On the occasion of Saint Nektarios Feast Day we publish the study of the honorary proffesor Fr. Theodoros Zisis. This paper was delivered at a conference dedicated to Saint Nektarios hosted by the Holy Metropolis of Thessaloniki. Paper translated by Fr John Palmer. Particular studies dedicated to the pan-Orthodox veneration of Saint Nektarios (along with papers on other themes) appear in the proceedings from two academic conferences marking the 150th anniversary of the Saint’s birth circulated in 1996 by the Holy Metropolits of Hydra and the Monastery of the Holy Trinity in Aegina respectively. See Nun Anastasia’ article “The Veneration of Saint Nektarios in Agapia Monastery and in Romania more generally” in Woman’s Monasticism and Saint Nektarios: Conference Proceedings from the Pan-Orthodox Monastic Conference marking the 150th Anniversary (1846-1996) of the Birth of Saint Nektarios (Aegina, 9-11 September, 1996). (Athens, 1998), 349-353 as well as Nun Makaria, “The Veneration of Saint Nektarios in Serbia”, in ibid., 355-359. Also see Also see Amphilochios, Metropolitan of Mavrovounios and Parathalasa, “The Spiritual Presence of Saint Nektarios in Orthodox Serbia” in Saint Nektarios: Spiritual, Monastic, and Ecclesiastical Leader. Proceedings of the Pan-Orthodox Theological Conference marking the 150th Anniversary (1846-1996) of Saint Nektarios’ birth (Aegina, 21-23 October 1996). (Athens 2000), 145-149 and Archimandrite Bartholomaios, “The Veneration of Saint Nektarios in the Holy Monastery of Sichastria and Romania more generally”, ibid., 185-187, and finally Archpriest Valentine Asmous, “The Veneration of Saint Nektarios in Moscow and All-Russia”, ibid., 215-220. For more on Saint Nektarios’ contribution to the rebirth of monasticism and to the developing of a correct attitude towards ecclesiastical life see Protobresbyter Theodoros Zisis’ ‘The Person and Works of Saint Nektarios,’ in Saint Nektarios as a Teacher (Thessaloniki, 2000), 39-64 as well as Barnanas Giannakopolous, ‘Saint Nektarios and the Crisis of Monasticism in the Second-half of the 19th Century and the beginning of the 20th’ in Woman’s Monasticism and Saint Nektarios: Conference Proceedings from the Pan-Orthodox Monastic Conference marking the 150th Anniversary (1846-1996) of the Birth of Saint Nektarios (Aegina, 9-11 September, 1996). (Athens, 1998), 113-128 and finally, Protopresbyter George Metallinos, ‘Monasticism in Saint Nektarios’ Era’ in Saint Nektarios: Spiritual, Monastic, and Ecclesiastical Leader. Proceedings of the Pan-Orthodox Theological Conference marking the 150th Anniversary (1846-1996) of Saint Nektarios’ birth (Aegina, 21-23 October 1996). (Athens 2000), 201-214. See ‘Introduction’ in Saint Nektarios’ work, The Ecumenical Councils (Thessaloniki, 1972), 8. See Metropolitan Titus (Mathaiaki) of Paramythia. 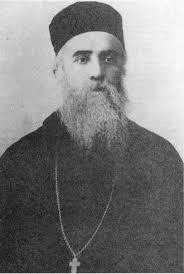 Saint Nektarios Kephalas, Metropolitan of Pentapolis, 1846-1920 (Athens, 1985), 243. For a list of the Saint’s writings, both published and unpublished, see the same work, 98-101. Metropolitan Titus (Mathaiaki) of Paramythia. Saint Nektarios of Pentapolis’ Catechetical Epistles Addressed to the Nuns of Holy Trinity Monastery, Aegina. (Athens. 1984). Nektarios of Pentapolis. 35 Pastoral Epistles. ed. Theokletos Dionysiates (Athens, 1993). Zisis, Theodoros. ‘The Correspondence between Saint Nektarios and the Athonite Elder, Daniel of Kotounakia’ in Saint Nektarios as a Teacher. (Thessaloniki, 2000), 15-37. See Strongili, Kleopas. ‘Unpublished Correspondence of Saint Nektarios of Pentapolis, Director of the Rizareio Ecclesiastical School’ in Tradition (1995), for example. Hadjigeorgiou, Michael. Saint Nektarios’ Visit to Syros and to Paraskevi and other Texts. (Syros, 1996), 130-132. See Sophokles Dimitrakopolous. Saint Nektarios of Pentapolis, the First Holy Figure of our Times: A Historical Biography based in Authentic Sources. (Athens, 1998), 73. Metropolitan Titus (Mathaiaki) of Paramythia. (1985), 46-47 and Dimitrakopolous (1998), 91. An ierokyrakas is a clergyman who is granted special permission to preach homilies. The office developed at a time when clerical education was generally very low and preaching licences were granted only to specific clerics in order to ensure that the faithful heard dogmatically correct, edifying sermons. See Metropolitan Titus (Mathaiaki) of Paramythia. (1985), 186-187. Saint Nektarios and Daniel of Katounakia, two Great Figures of our Century: A Presentation of their Correspondence. (The Holy Mountain, 1997), 115-117. Metropolitan Titus (Mathaiaki) of Paramythia. (1985), 48-49 and Dimitrakopolous (1998), 108-109. Metropolitan Titus (Mathaiaki) of Paramythia. (1984), 81, 83-84, 86. Metropolitan Titus (Mathaiaki) of Paramythia. (1984), 81, 83, 84, 86. Metropolitan Titus (Mathaiaki) of Paramythia. (1984), 54-55 and Dimitrakopolous (1998), 112-123. 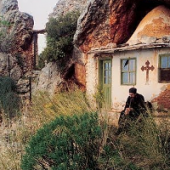 See Monk Moses of the Holy Mountain, “Saint Nektarios and the Holy Mountain” in Saint Nektarios: Spiritual, Monastic, and Ecclesiastical Leader. Proceedings of the Pan-Orthodox Theological Conference marking the 150th Anniversary (1846-1996) of Saint Nektarios’ birth (Aegina, 21-23 October 1996). (Athens 2000), 224-225. Metropolitan Titus (Mathaiaki) of Paramythia. (1984), 187-188 and Dimitrakopolous (1998), 230. Metropolitan Titus (Mathaiaki) of Paramythia. (1985), 176-177. Theoklitos Dionysiates ‘Introductory Comments’ in 35 Pastoral Epistles, Athens (1993), 6-7. Metropolitan Titus (Mathaiaki) of Paramythia. (1985), 250. Metropolitan Titus (Mathaiaki) of Paramythia. (1985), 74-79. 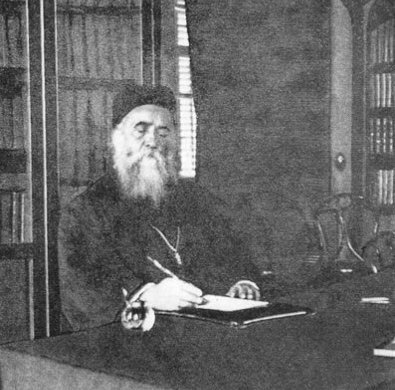 Metropolitan Titus (Mathaiaki) of Paramythia. (1985), 84.